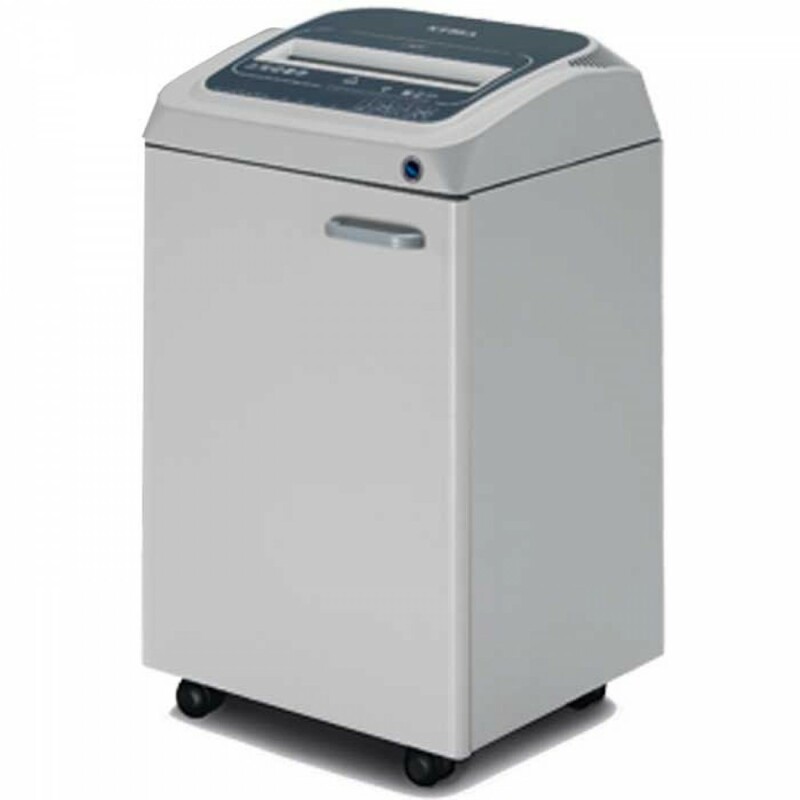 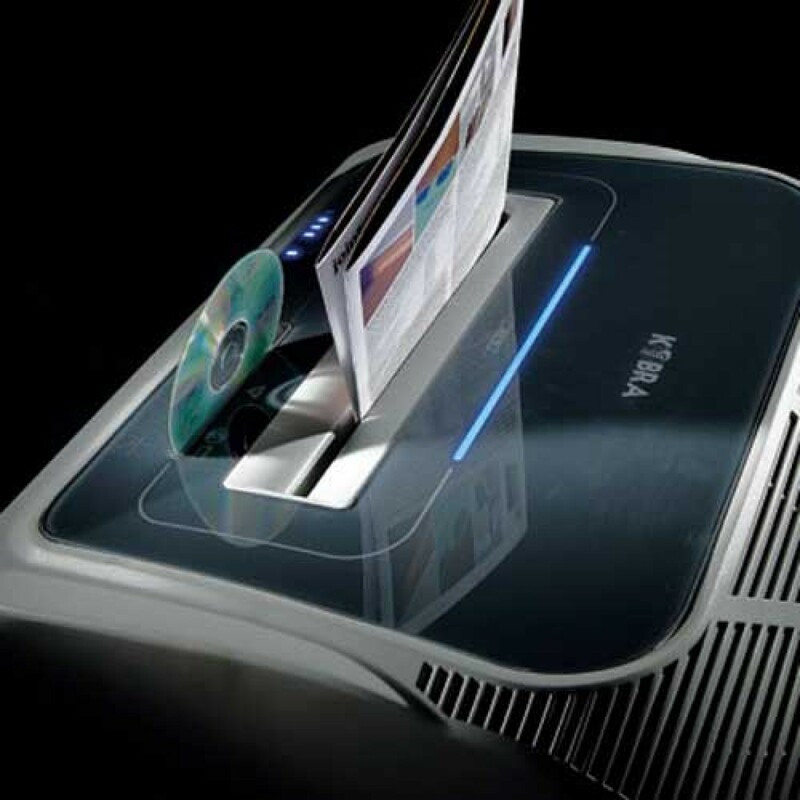 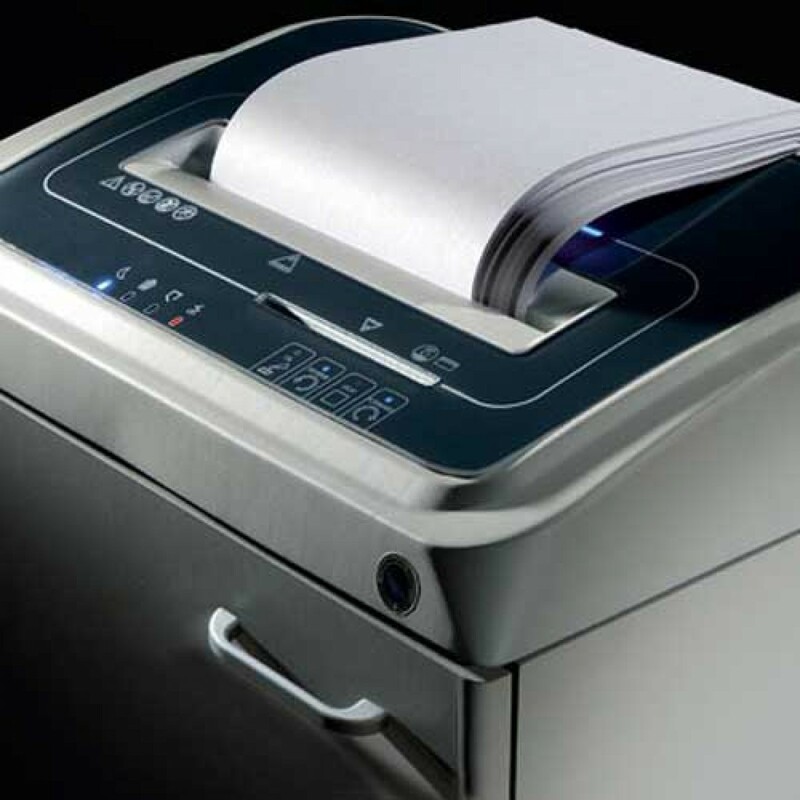 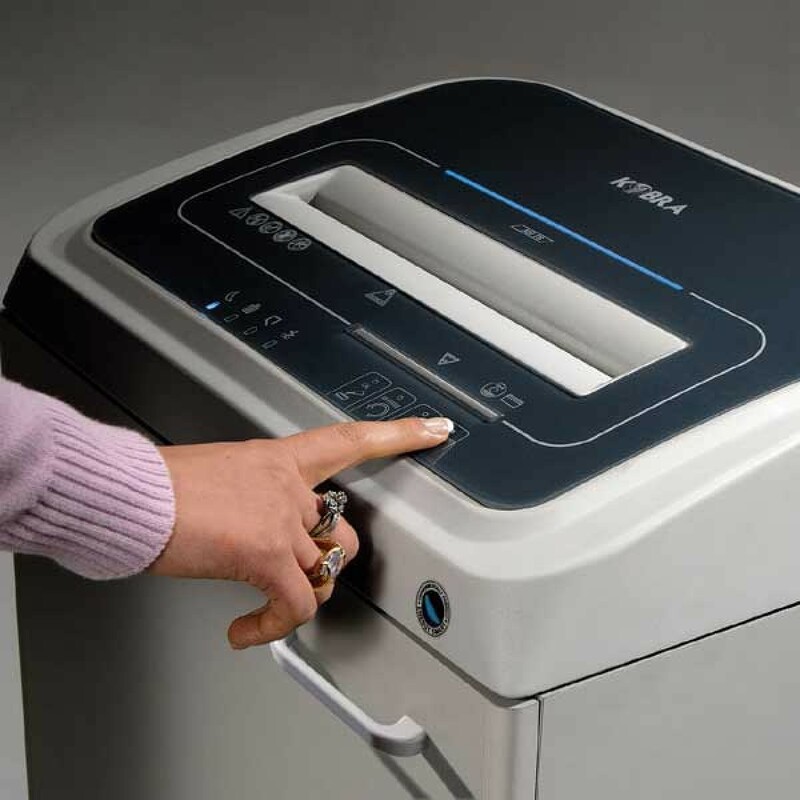 The Kobra 270 TS MediumTouch Screen office Shredder saves time and money. 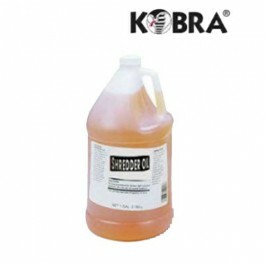 Cutting knives hardened with carbon are unaffected by staples and metal clips. 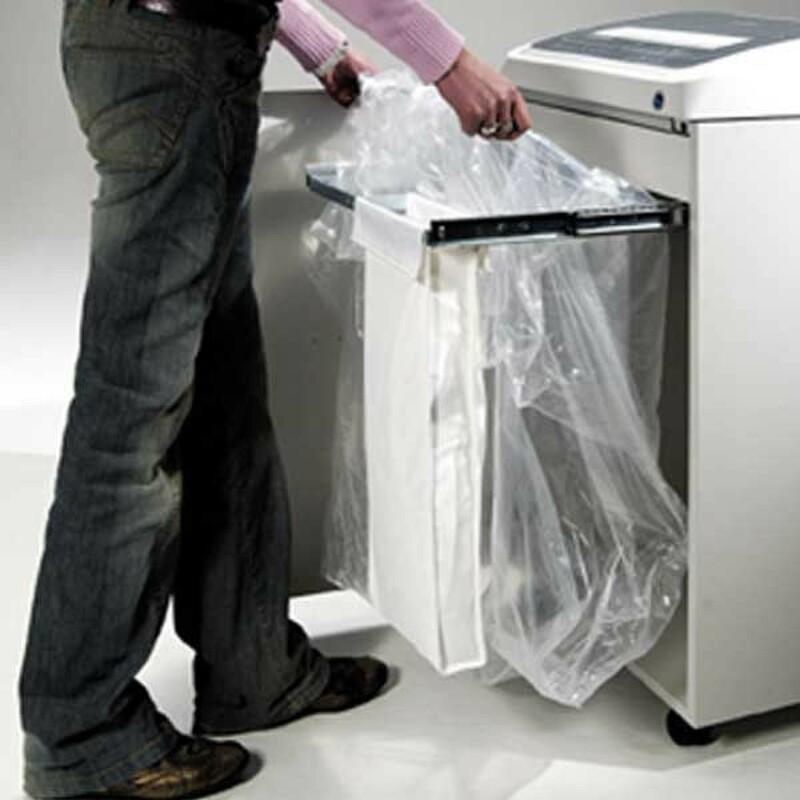 Two seperate removable bins for separating shredded paper from plastic shreds.